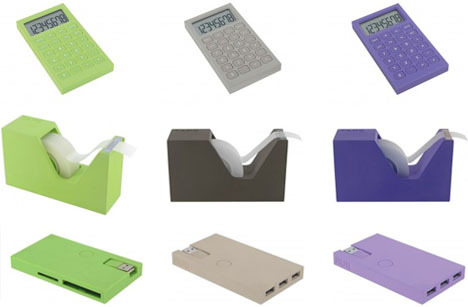 Keeping things neat and tidy on your home or work desk can be tough, in part because most objects are made independently – different shapes and sizes from different manufacturers. 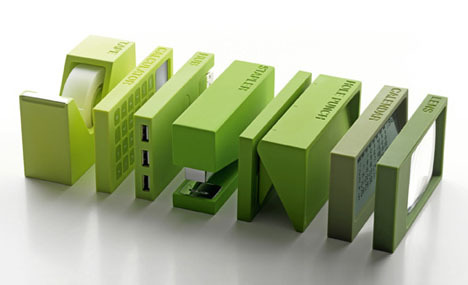 This series of square-edged tools (titled Buro ? ?- the German word for office) from? 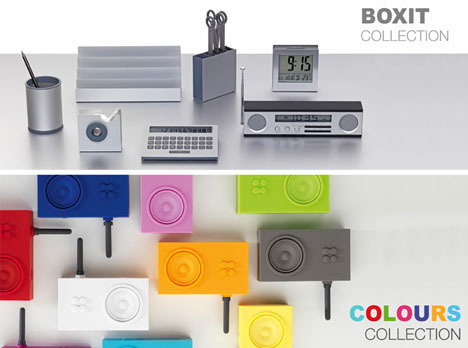 ?Lexon makes a conventional organizer obsolete, letting you stack or array items in desk-top towers or drawer-slotted rows.? 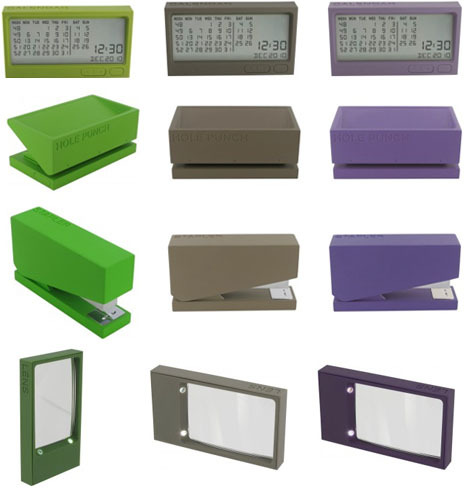 ?Everything lines up in terms of length and height, from traditional tape dispensers, hole punchers, magnifiers, calculators and calenders to the more contemporary external hard drive most modern offices require. Block-printed labels alongside the edge (as well as an beautiful range of colors and hues) let you easily pick out what you need for a particular task. This may be more than some of us need, but for those who spend all day sitting at a desk, it is nice to feel like everything around you is ready and waiting for, not distracting from, the work at hand. This is not Lexon’s first foray into matching series and systems of items, though. 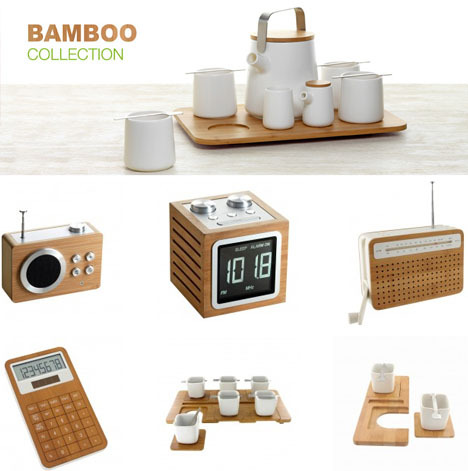 They have an anodised aluminum-themed series of professional tools, a cute collection of monochromatic colored radios and a diverse bunch of bamboo-based products as well, all commissioned from various industrial designers. Still, while these are all aesthetically related by materials and aesthetic, there is something compelling about the physical interconnections of the Buro office set.